Hey Oilers Fans! How about that Battle of Alberta? Did you know that the recent victory against the Calgary Flames marks the first time since 1985-86 that the Oilers have swept the season series, winning all four games? It’s true! Here at Expressions and Images we’ve got our game-face on and are so excited to see what kind of Oilers memorabilia you’ve had tucked away or have recently acquired that needs to be framed, protected, and preserved for years to come. We’ve got tonnes of creative ideas to help you display any kind of hockey gear. 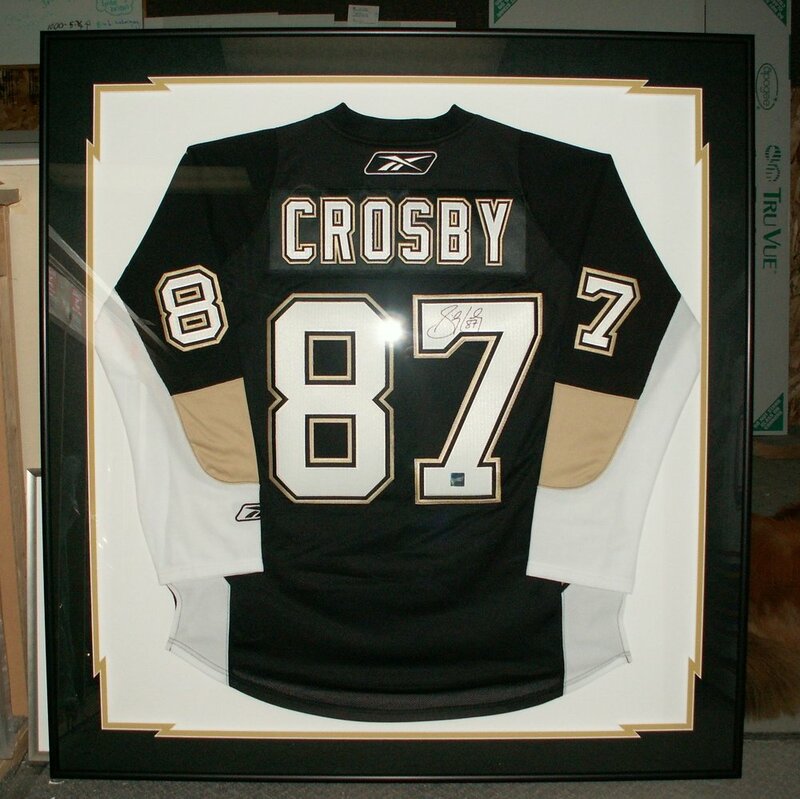 We’ve framed everything from treasured hockey cards, autographed photos, pins, badges, pennants, pucks and sticks, to, of course, one-of-a-kind jersey boxes. If you’ve been waiting to have that treasured Oilers ephemera framed and displayed, now’s the time! We don’t want to get too far ahead of ourselves and start growing ‘The Beard’, but it’s never too early to showcase your Oilers pride! Older PostThanks to you we are celebrating 25 years of framing memories!